Finding the right software can really help your business get organized. Customer management, inventory, invoicing, billing, staff, schedules, communications, and attendance are just a few categories which can be easily managed with good business management software. 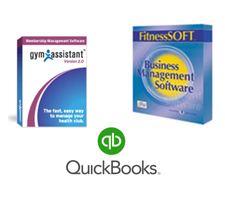 You may find a general business package like QuickBooks® will provide you with all you need. Or, you may choose to go with something more specific to your industry. For example, we have many clients in the fitness, health, wellness, martial arts, school, and medical industries who receive all the tools and organization they need with one of the many titles from Online River®, Get Physical Software®, or Gym Assistant®. APS’s payment processing services work hand in hand with these software providers, in addition to most other business management software solutions. Trying to decide which direction to go with software and what will work best for your business? Give us a call. Chances are very good we will be able to guide you to a perfect solution for your needs. Automated Payment Systems has been around for almost 30 years. Our experience can definitely add to the usefulness of your business software. We are confident we can help you. Call APS today! News, solutions and advice from Automated Payment Systems. Learn about secure customer payment processing, online and offline services, recurring payments, and how APS can help your business. PrevHave You Been Declined for a Merchant Credit Card Account or ACH Account?